Snapshot: Shortly, Toyota Kirloskar Motors Limited will launch the crossover styled Etios Cross hatchback in India. The car will be sold in petrol and diesel variants. Apart from being slightly larger than the Liva hatchback upon which it is based, the Etios Cross features the same ground clearance and mechanicals. The Etios Cross crossover-styled hatchback will make its debut at the 2014 Indian Auto Expo. AutoColumn has revealed a few details of the upcoming hatchback which will be one of Toyota’s two big launches for the year. 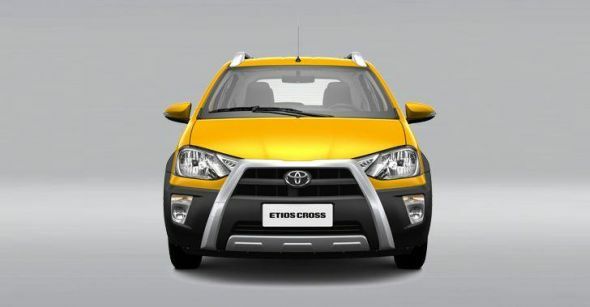 The Etios Cross is larger in terms of exterior dimensions and this can be attributed to the body kit that the crossover styled hatchback features. 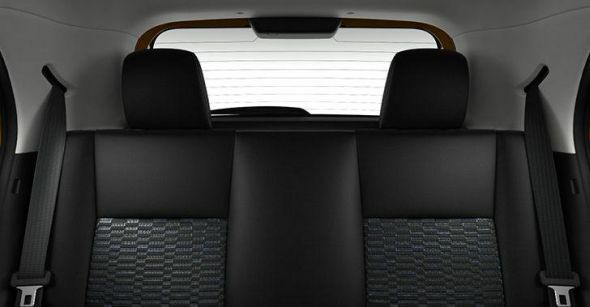 The Etios Cross measures 3895 mm in length, 1735 mm in width and 1555 mm in height. In comparison, the Liva hatchback measures 3775 mm in length, 1695 mm in width and 1510 mm in height. If you think that the Etios Cross is taller due to additional inches gained on the ground clearance front, you’re mistaken. The car’s roof rails are responsible for the taller height even as the ground clearance and wheelbase remain the same at 170 mm and 2,460 mm respectively. Lost opportunity there? 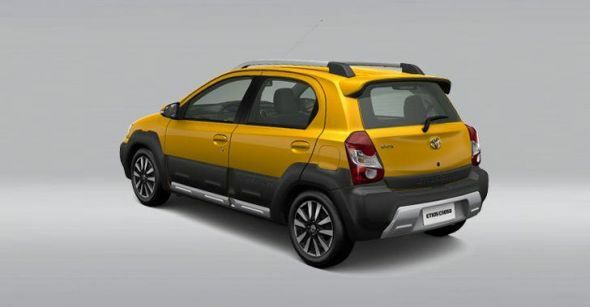 What changes though is the exterior look of the Etios Cross, which with the addition of a body kit looks more butch. 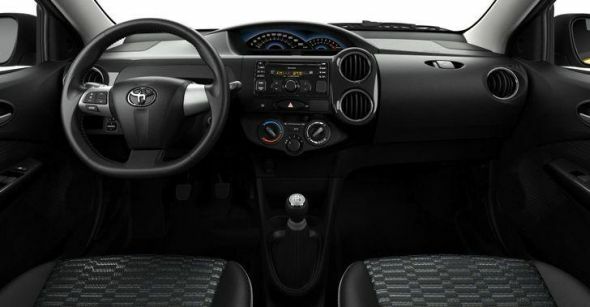 Also, the interiors of the Etios Cross see a new, black dashboard colour scheme. Mechanically, the Etios Cross will be unchanged, with the 1.2 liter petrol and the 1.4 liter D-4D turbo diesel (67 Bhp-170 Nm) engines being carried over from the hatchback variant. 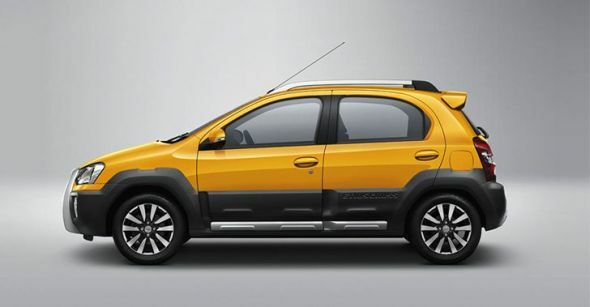 The 5 speed manual gearbox that drives the front wheels is also retained on the Etios Cross. The car will be available in the top end V trim, replete with twin airbags and ABS+EBD. The Etios Cross is likely to be priced about 50,000 rupees higher than equivalent petrol and diesel variants of the Liva V grade models. Actual sales will begin soon after the launch.